I feel like you should really be running at least a set of Wizard's Lightning instead of the Warlord's Fury . Instead of using the Pteramander , I would highly recommend using Goblin Electromancer . It will make your cards cost less so that they can be used more readily. 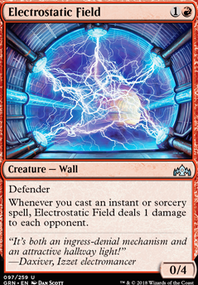 If you are going for budget and are using more expensive versions of better cards, then using Electromancer really helps with casting them during the game. I have used Pteramander many times and every time I use him it is too slow for my liking. There is also a card I have been liking called Depose / Deploy . It has a nice effect in tapping a creature if you need it, and there is no need to splash another color with the hybrid mana. Plus it draws you a card and gives you 1 tick for your drakes. If you want to make sure that you have enough tempo in order to last into the late game, you may want to take a look at Murmuring Mystic . He has a nice ability, though he does have a pretty high CMC. 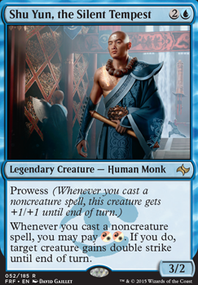 I have found that he is a very good sideboard card against token decks. If you use Goblin Electromancer , you will almost always have a wizard on the field. You want him to be in your starting hand so you can play him turn two, so if you decide to go that route I would take a look at Wizard's Retort and Wizard's Lightning . They both cost significantly less with a wizard on the board, but they also cost less with electromancer in general. As far as straight up damage goes, you have the obvious Lightning Strike , which would just be the same as a lightning bolt if you have the Electromancer. If you are looking for something more though, you can look at Direct Current . Little harder to cast because of the two red symbols, but it also has Jump-Start, so you can cast it again from the graveyard. Firecannon Blast Is essentially the same, but it has that raid trigger to do 6 damage instead if you attack (which you will be). Fight with Fire also gives you more options, as you can either choose to deal 5 damage to a creature or kick it to deal 10 wherever you want. As far as drawing cards so that you can get your instants and sorceries into the graveyard and your drakes on the field, one of the best budget ones that I have found is Chemister's Insight . It also has the jump-start ability so you can use it again. Radical Idea is basically a smaller version of that. 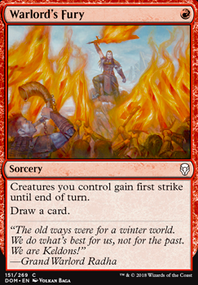 Warlord's Fury is a low CMC card that will draw you a card and also give all your things first strike. I found it helpful sometimes, but not enough to keep it in my deck. Something like Arrester's Admonition could also be useful with it sending a creature back to its owner's hand, but I have not tested it enough to know if it is super viable. The version of the drake deck that I play can be found at Draken' My Bacon. I tend to run a more aggro version of the drake deck that focuses on getting the drakes out as soon as possible and casting as many spells as I can. I also have all of the expensive cards vs the non-expensive ones, but I only got that over time. I started out where you are with a budget version. After further testing I dropped to 18 lands then pulled Torch Courier and added Warlord's Fury , 4 for 4. This seemed to stabilize the curve a bit. Still flooding out sometimes but not nearly as often. Adding Fury helps stuff get through and lets me draw into something better. You're probably not running into this problem with FoK but I'm trying to work with what I have. I'm going to keep running Goblin Gathering as it pairs well with Risk Factor and Tormenting Voice . Being able to land 5 creatures for 3 mana is pretty nice. Only did that once so far but it cause my opponent to give up. Have you tried Risk Factor with FoK? Seems like a good way to burn 8 or draw into more Cavalcades. I just made this deck exactly how you have it, minus the sideboard. I'm super excited to play it in the next couple days, I love really fast decks and this looks like it's gonna be my cup of tea. In case you're interested, here's what I put in my sideboard. I put so many Sentinel Totem's in my side, simply because a TON of people in my area play Golgari, and it's a super easy, and cheap, counter to their deck; plus it allows you to scry, which is always nice. I chose Inescapable Blaze over Banefire because it's an instant, that can't be countered, versus a sorcery; it's always nice to do that kind of thing on your opponents end step. Warlord's Fury and Crash Through both for their combat advantage abilities, plus you get to draw a card. Cosmotronic Wave helps with 1/1 tokens, and makes it so everything else can't block. Fight with Fire could be a game ender, or board wipe. Experimental Frenzy could be insane with all the low costs in this deck. So that's what I put in mine, and why. Will report back on my games in a few days, thanks for the deck build! I feel like the spell package with this list would make recurring the Arclight Phoenix spotty at best. Maybe consider Crash Through or Warlord's Fury as cantrips, or Tormenting Voice as both a cantrip of sorts and a discard enabler for Arclight Phoenix. I also think Experimental Frenzy is probably better than The Flame of Keld in a deck that wants to consistently cast multiple cards per turn. Banefire is just better than Fight with Fire and Inescapable Blaze in most cases. You could also consider Viashino Pyromancer rather than Guttersnipe to enable Wizard's Lightning. Though only having a few Wizards probably is t enough. Overall I really like your idea of putting both Arclight Phoenix and Rekindling Phoenix into a burn shell together, but Arclight Phoenix requires a consistant way to chain together spells in order to see a payoff, otherwise it's just a 3/2 Hastey Flyer for 4 mana. Just something to consider, Control is very rampant in Standard at the moment. How would you deal with Walls, lifegain, and counter spells? Not saying these are all in the same deck but Azorious Control, Jeskai Control, and Esper control all seem to have you in a pickle. Esper has Ritual of Soot which board wipes you. They could also be running Settle the Wreckage, Sleep. Jeskai has you in a pickle with the Enigma Drake's, Electrostatic Field and burn/counter/bounce spells. Azorious has Teferi, Hero of Dominaria which will stop you dead in your tracks while they sit comfortably at 5 to 10 hp. I'm not saying this isn't a fun or competitive deck because it does in fact have me crapping my pants! But these are things you have to consider. If you play against Stompy decks, you'll have to save your burn spells for the creatures so they don't stomp you to death. Saproling decks will just populate the board and stall your creature damage with a board full of those lil' buttmunches. If I were to suggest any cards to add to the deck.. I guess I would add in Expansion / Explosion Why? It's a 2-drop counter/kill/ or another burn spell. It could also net you lifelink tokens from Vampire decks giving you some chump blockers. It's just a good spell in general. Maybe Warlord's Fury if you plan on being super aggro and they choose to chump block just enough to kill your creature(s). Raptor Hatchling is also a good choice because it will stop your opponent from swinging at you for a couple of turns (They wont want to give you that 3/3 and will likely use a kill spell on it if they're desperate instead of something else.. like your Runaway Steam-Kin). Goblin Chainwhirler is also a great choice for mono-red as it kills off all those pesky 1/1's and gives you a nice 3/3 first striker. 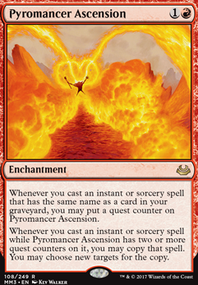 Rekindling Phoenix is also a really great mono-red card since it's a self-reviving face smasher. Anywho, I hope this didn't come off as a douchey post but rather an informative one. I hope I gave you somethings to think about and remember to play Magic to have fun. If you're not having fun, then what's the point? Feels like you're pulling in too many different directions. If you're going more burn, Ghitu Lavarunner doesn't belong here, and neither does Opt. Both of those are more aggressively slanted cards and take away from running more Risk Factors and Chemister's Insights from the deck. Also, in testing for me Firemind's Research was too slow against everyone but the control match up. those would probably do better as Expansion // Explosion or Banefire for extra burn to finish. 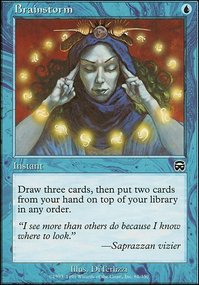 If you want to go the more aggressively slanted route, you should be running more Wizards in the main deck. Adeliz, the Cinder Wind should also never be a sideboard card, she's more of a build around. 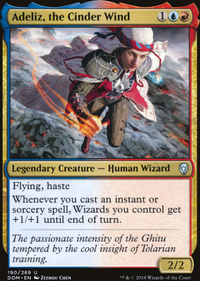 And she has a great supporting cast in Ghitu Lavarunner, Wee Dragonauts, and Viashino Pyromancer along with Wizard's Lightning, because in that deck it's ALWAYS a Lightning Bolt. Expansion // Explosion is also very good in that deck, because it copies very cheap spells that either draw you cards like Opt or Warlord’s Fury, or any of your burn spells, and Risk Factor being copied is just like a middle finger to your opponent in that type of build lol.